KUALA LUMPUR: Hua Yang Bhd has received bookings for more than 200 units of Phase 1 Symphony Heights @ Selayang serviced apartments since its soft launch a few months ago. Chief operating officer Ho Wen Yan said the company had received more than 1,900 registrants for its RM180mil, 2.97-acre leasehold project at the flyover intersection to Batu Caves, Selangor. Ho said a 10% “early bird” discount and other incentives such as free legal fees for the sale and purchase agreement and a RM500 down payment were being offered to buyers of the Phase 1 apartments. “These incentives are in line with our aim to provide affordable housing at attractive packaging in strategic location,” he said during Symphony Heights’ official launch. The project comprises three blocks of 29, 30 and 33 floors totalling 946 units. Phase 1, consisting 544 units, was soft launched in July and scheduled for completion before July 2011. Phase 1 offers two-bedroom apartments with a 863 sq ft and 879 sq ft built-up area as well as three-bedroom apartments and 3+1 units. Prices range from RM135,200 to RM324,500. For more detail information, please contact & visit the official website. Mah Sing Group Bhd is spending RM13 million to buy 2.12ha of freehold land in Setapak from Link Mart Sdn Bhd. The RM13 million, which works out to be RM56.30 per square foot, will be paid in five progress payments based on specified milestones of development until the sub-division of land is obtained, Mah Sing said in a statement yesterday. "It is in a prime location and represents a coup for Mah Sing as the land is freehold while surrounding area are mainly leasehold land," said group managing director Datuk Seri Leong Hoy Kum. He said Setapak has experienced healthy growth in demand for shop offices as evidenced by the more than doubling in the transaction value of the shop office sub-segment in the first quarter of this year compared to the same quarter last year. "With a catchment of close to 700,000 people from the middle- to upper-income groups in the vicinity, we have high hopes of a good take-up upon launch of the project," Leong added. 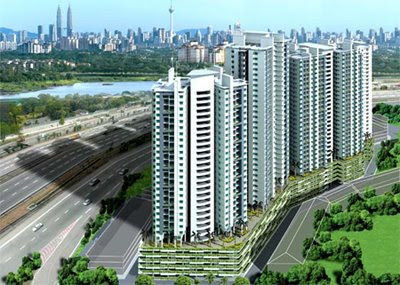 Mah Sing expects to generate gross development value of RM118 million from the Setapak project. KOZHIKODE (Kerala): A consortium comprising IJM Bhd (3336) and Malaysia Allied Health Science Academy College (Mahsa) is tipped to develop a medical city in Kerala once the state government gives its nod. The Kerala State Industrial Development Corporation and Malaysia's Construction Industry Development Board 9CIDB), both parties of the consortium, are engaged in serious talks to ink the agreement for the RM433 million (US$120 million) project in Kinalur in Kozhikode City. "Through the CIDB, we signed the memorandum of agreement with the Kerala state government in September and hope to sign the final agreement any time soon. "The estimated investment for the first phase is likely to surpass US$120 million and could be completed in three years' time. "Malaysian companies have expressed interest to develop this project. This is a good opportunity for our country to export the expertise we have and develop our own technical knowledge," Works Minister Datuk Mohd Zin Mohamed, who visited the project site, said. IJM will be the master builder while Mahsa will be involved in providing medical infrastructure. The proposed integrated medical city, to be developed in four phases, will be built on a 110ha site in Kinalur, about 42km from Kozhikode or also known as Calicut - the third largest city in the southern state of Kerala. A medical university, hospital, nursing scool, dental college and health centres comprising both traditional and modern medicine as well as pharmaceutical product manufacturers are being planned for the medical city. The Malaysian consortium is also proposing to build a highway, cutting through Kinalur, which will slash the distance by half from the main city to the project site. Once developed, it will easily create nearly 25,000 skilled and semi-skilled jobs for the locals, who rely heavily on agriculture. After the visit, Kerala Public Works Minister Mons Joseph called on Mohd Zin for further discussions on the medical city project. Speaking to reporters later, Joseph said Malaysian companies are keen to develop the project and the state government will hold further talks before finalising an agreement to kick off the mega undertaking which will transform the remote district into a satellite township. There is no issue with regard to financing infrastructure in Asean as it is flush with liquidity due to gross national savings in excess of US$300 billion. Second Finance Minister Tan Sri Nor Mohamed Yakcop said that beyond Asean, there remained large pockets of liquidity in countries such as China, India and the Middle East. “With a large and rapidly growing young population, there remains significant demand for greater infrastructure and a basis for strong project cash flows,” he said at the Asean Infrastructure Financing Mechanism Conference yesterday. He said an estimated investments of US$30 billion are required annually for infrastructure development in the region. “To drive the Asean infrastructure financing, we need to ensure good project cash flows and effective management of risks. Project risks should be shared on an equitable basis and intermediated through the capital markets to reduce the concentration of risk,” he added. Nor Mohamed said that increasing private sector involvement in infrastructure projects can assist in building the country’s domestic private sector while developing the capital market. According to him, Asean countries could also collaborate to fast-track the creation and growth of listed companies through cross-listings. SINGAPORE: Singapore's government may form a venture with CapitaLand Ltd to take over one of the island's two casino-resorts if Las Vegas Sands Corp fails to stave off loan defaults, CIMB-GK Research Pte said. Las Vegas Sands, the gaming company that said last week it may default on debt and face bankruptcy, reiterated last Saturday that it's committed to the US$4 billion (US$1 = RM3.54) Singapore resort. The company has drawn down at least S$2 billion (S$1 = RM2.38) from a S$5 billion credit facility by several banks for the project. If Las Vegas Sands cannot cough up its share of equity, the Singapore government is likely to step in," Donald Chua, a Singapore-based analyst at CIMB-GK, wrote in a report yesterday. "A viable option could be a 49:51 joint venture between the government and CapitaLand, with CapitaLand taking a controlling stake in the project." Las Vegas Sands was one of two gaming companies that won the right to build resorts in Singapore after the city-state lifted a four-decade ban on casinos in 2005 to diversify the economy and create jobs. The company said last week it faces "substantial doubt" about its ability to survive and may be short of cash for US$16 billion of projects in Asia. Las Vegas Sands, in a statement yesterday, declined to comment on its earnings announcement. Meanwhile, CapitaLand said in an e-mail it hasn't held any discussions with the Las Vegas-based company, adding that it's seeking investments in the "continuing global recessionary environment". "CapitaLand wishes to clarify that no discussion has transpired between itself and Sands," it said in a statement. HEKTAR Real Estate Investment Trust (Hektar REIT), owner of over RM700 million of assets nationwide, saw net profit rise 7.6 per cent to RM9.6 million for the third quarter ended September 2008. It registered a 20.9 per cent year-on-year revenue growth to RM22.2 million. "We are pleased to register sustainable growth for the third quarter of 2008 amid a rather cautious outlook for the world market," Hektar Asset Management Sdn Bhd chief financial officer Zalila Mohd Toon said in a statement yesterday. Hektar REIT, she added, continued to record positive rental reversions and solid occupancy rates across its portfolio of shopping centres in Subang Jaya (Selangor), Malacca and Muar. Zalila said in the quarter reviewed, total occupancy of the shopping centre portfolio improved to 96.8 per cent. Rental reversions remained positive, with 30 new or renewed tenancies recording an average increase of six per cent over previous rental rates. Overall, net income per unit was three sen, with Hektar Asset declaring a third quarter dividend per unit (DPU) of 2.4 sen.
Based on the closing price of RM1.05 on September 30, this represents an annualised yield of 9.1 per cent. The dividend will be distributed on December 5 2008. Zalila said Hektar REIT's policy is to pay dividends on a quarterly basis and aims to distribute 90 per cent of the actual net profit for the current year ending December 31 2008.